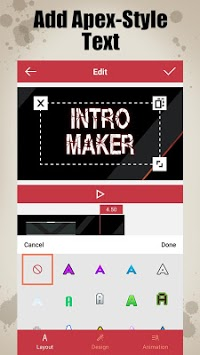 The best app to make cool video intros for your Game Youtube channel. 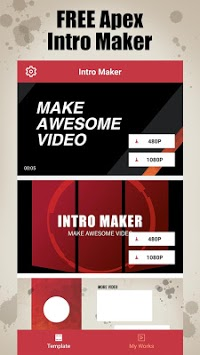 This app provides Free HD Apex Legends gaming intro templates for you to create cool video intros, which will make your video stand out on YouTube. 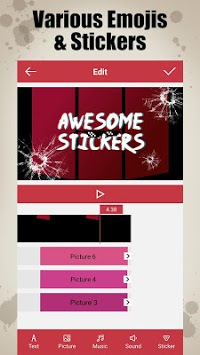 Besides, these templates are customizable and you can add texts, stickers, music to design your own intro. This is an unofficial application for Apex Legends players. This app is not affiliated with or endorsed by Apex Legends, Electronic Arts or any of his partners. All credit goes to the Apex Legends Developers and Designers. All in-game descriptions, locations and imagery are copyright to their respective owners. Usage for this guide falls within fair use guidelines.